Closeout. 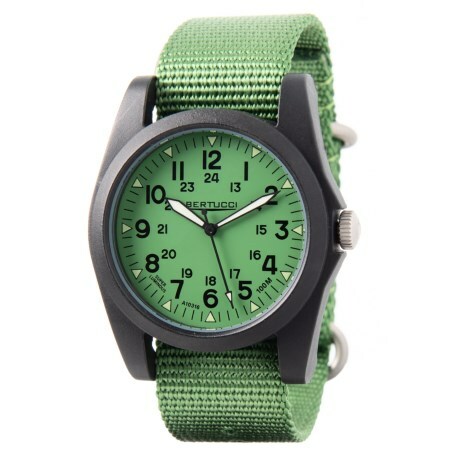 Easy to read and featuring its own distinctive design, Bertucciand#39;s A3P Sportsman watch includes super-luminous hands and a sporty nylon band. Available Colors: JUNGLE GREEN/JUNGLE GREEN, BLACK.